Arrogant tech billionaire Rex Wyman has built the world’s most expensive sailboat, a vessel that is part robot, part computer, and part boat. He is determined to win the world’s most challenging yacht race, from San Francisco to Japan through some of the roughest seas in the world. His racing yacht, Victory, cost $75 million and is navigated entirely by computer. Wyman desperately needs this victory. Behind a façade of extravagant wealth, his software empire is crumbing, and he believes that only a public relations coup can save his company. But when he and his girlfriend Gwen Weld attempt to set a trans-Pacific speed record, a ferocious Bering Sea storm batters the boat. Air Force pararescue jumper Jess McKay and his team will try to rescue them, but Victory is battered and taking on seawater, and it’ll be dangerously close. 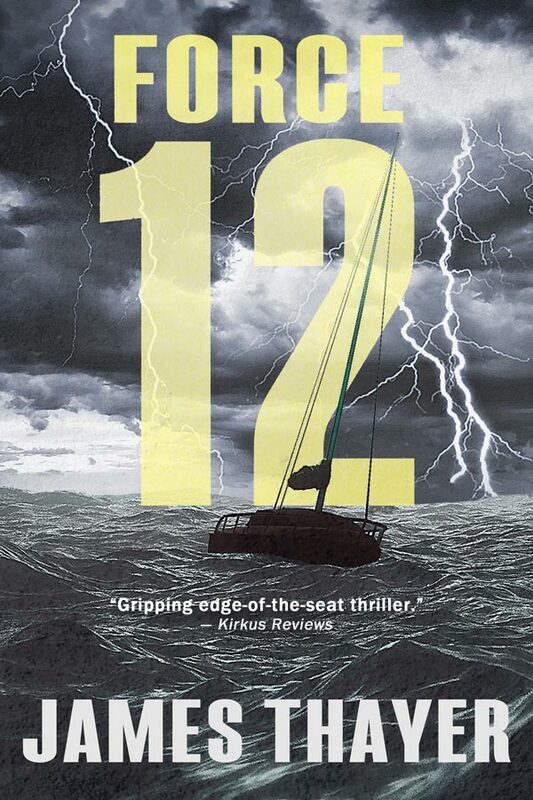 "With the power and dangerous beauty of a great storm, Force 12 by James Thayer hurls you into the sea adventure of your life. Force 12 is a thrilling tour-de-force."